The aforementioned statement by Ferguson indicate the trust he had in Jones – a trust that David Moyes must also keep close to his heart. 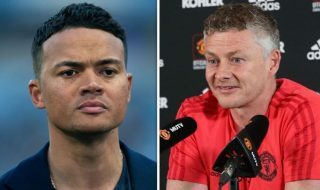 In the 2012/13 campaign having made only 14 appearances in the Premier League and three in the Champions League, the statement may not match up quite readily with the playing time he was allotted. With struggles occurring to enter the starting XI but forth by Ferguson, Jones continued his fine development when he was called upon. One of his best performances came against Real Madrid in the Champions League alongside Michael Carrick, where the 21-year-old retained possession brilliantly and played on both sides of the ball. His willingness to run and throw his body into the challenge is an admirable trait – not to mention how wonderful he broke down against former United star Ronaldo and Madrid’s other goal-scorer in Karim Benzema. 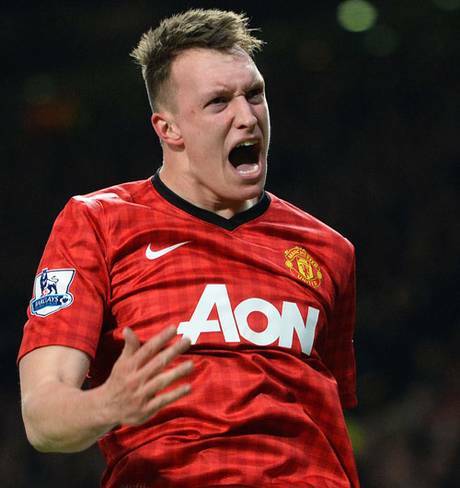 When I think Phil Jones, I think future captain of United. As Nemanja Vidic’s playing career nears its end within the next few seasons, Jones could fit in exceptionally well with the system that Moyes employs. 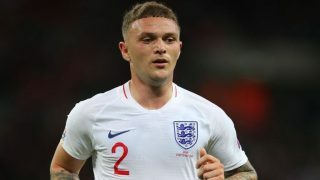 The Reds play may not be as visually appealing at times in the beginning of Moyes’ career with Manchester United, but expect the Scot to count on Jones to uphold a tough line whether it be in the midfield or center of defense. 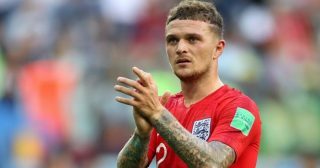 The gritty performances that Jones does put forth can offer additional support to a veteran back line of Rio Ferdinand and Vidic whom could be replaced by the much younger Chris Smalling and Johnny Evans at any time. Along with his tireless effort in the middle of the park, Jones also reminds me of John O’Shea. When called upon, neither complain where the manager places them on the pitch, and immediately look forward to helping their squad as best as they possibly can. Versatility is one of the best traits to have in football and with the ability to defend and jump start an attack, Jones will likely be an important piece to building another title winning season. Chalk full of wisdom and surprise. A Red through and through. In the center of the park alongside Shinji? Primed and ready for history. When all is said and done. With a champagne bottle to rest his needs. The Englishman offers De Gea much needed respite. The making of a legend, has just begun. Robert Moore is writing for SN on behalf of One United USA. Follow @Robert_Moore24 on Twitter.